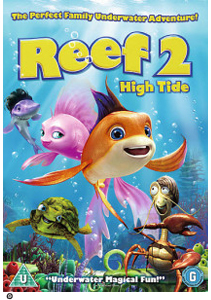 Check out Reef 2: High Tide on DVD NOW! It looks like it won’t quite be beach weather this half-term, so we’ve been looking into some cool movies you can stay indoors and watch whilst school’s out. 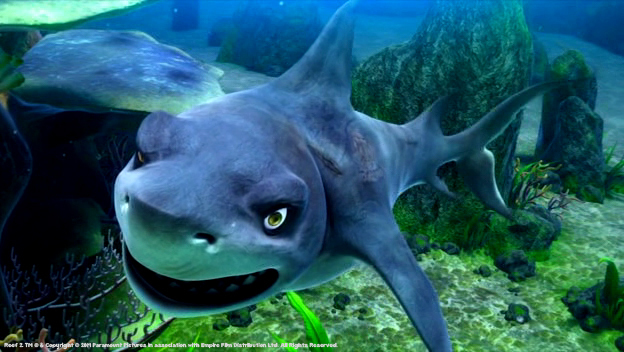 Reef 2: High Tide will be out on DVD and Digital right now, so just in time for the holidays. It follows on from the original film Reef but the brave little fish Pi has now got a family so he’s working even harder to protect his reef. He sets about teaching his friends the martial art of Fish-Fu, but a new fish on the block – Ronny – turns out to be a spy and fish-naps Pi’s wife Cordelia. Then the journey to rescue her begins. Want to get your hands on the movie? Click here to order it! We’re always chatting about the coolest DVDs and films on Fun Kids. Tune in to hear the latest releases and news. Reef 2. TM ® & Copyright © 2014 Paramount Pictures in association with Empire Film Distribution Ltd. All Rights Reserved.